ZenMate is a VPN made in Germany (specifically Berlin.) 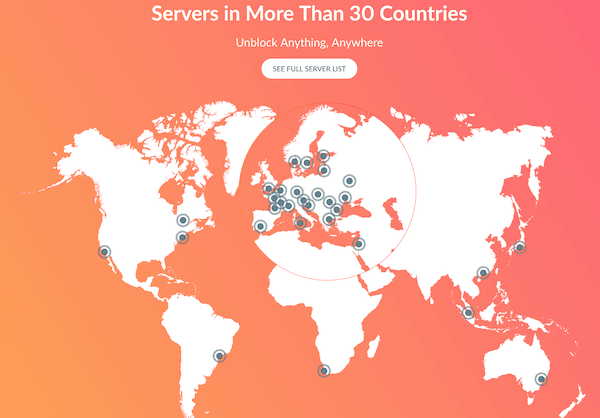 Initially, ZenMate VPN was a proxy service that operated as a browser extension. Nowadays, ZenMate has become one of the best VPN on the market even though very simple to use. 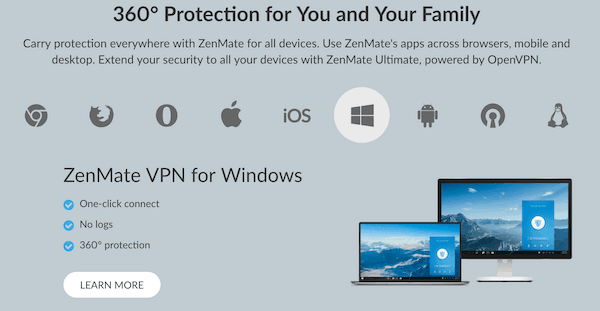 Our ZenMate review will bring to your attention the pros and cons of this VPN that is currently focused on improving, even more, its service and expand its global presence. As far as today, ZenMate can ensure a strict no-logs policy, compatibility with the top operating systems, excellent speed, and dedicated ZenMate servers to unlock Netflix, BBC iPlayer as well as many geo-restricted websites. Their website is also available in various languages but will determine the language according to your location. You can then change the language if you wish. ZenMate VPN is in itself not the most sophisticated VPN with granular controls for the most tech-savvy users. However, its simplicity coupled with the ability to unlock some of the most notorious sites is very welcome. Here, I’ll walk you through a detailed ZenMate Review to help determine whether it’s the VPN for you. From our ZenMate review, we didn’t find anything of major concern when it comes to ZenMate’s privacy policies. First, the VPN is located in Germany which has some of the most strict laws to guard an individuals privacy. However, they do log meta-data just to help them plan for the capacity and expansion of their service. Therefore, it should raise no alarm and we can say that ZenMate is a “strict” no-logs VPN. With it being only temporary, then there won’t be any proof of identity even if someone tries to track you. However, it is always good to know that there is a tiny fraction of your data that is collected even though for a short time. One of the significant things we didn’t like when doing this ZenMate VPN review is the fact that ZenMate doesn’t list the protocols used. Their clients do not have a section where you can decide which protocol to use at a particular time. However, they do use AES 256 CBC with 2048 RSA for key exchange to encrypt traffic. ZenMate VPN is catching up with big names in the VPN industry. At the time of our ZenMate review, over 2200 servers in 30+ countries across the globe are available. This is quite a good number of option to use the Internet in total freedom. 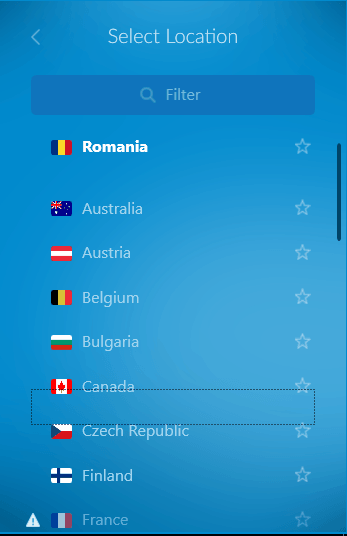 ZenMate has servers in traditional countries like US, Canada, Australia, etc. The American servers are on the east and west of the United States to make connections to it faster from both Europe and Asia. Most of their servers are however found in Europe. The strategic location of ZenMate VPN servers helps people who want to access geo-restricted content, and we were happy with the speeds offered by the servers. If you want to have unlimited access to otherwise blocked contents, you can easily do it with ZenMate. Netflix US and BBC iPlayer are among the most important website that ZenMate unlocks. As regard Netflix US and BBC iPlayer, ZenMate VPN has dedicated servers optimized to bypass the geo-restrictions imposed by these services. However, on the app is not highlighted which are the ZenMate servers optimized for Netflix and BBC iPlayer. For your reference, all the UK servers are optimized for BBC iPlayer, and all the US servers are optimized for ZenMate to unlock Netflix US. Despite the ZenMate plan you buy, you will be allowed to connect up to 5 devices simultaneously. This is in line with the top VPNs on the market. This is a good option if you want to secure your whole family or you want to split the cost of ZenMate with your friends. As already mentioned, ZenMate was initially a browser extension which is still available for various browsers. You have an option to download ZenMate Chrome, ZenMate Firefox, and ZenMate Opera. The ZenMate browser extensions come very handy thanks to the one-click connection function that makes using your VPN super easy and fast. ZenMate VPN has three pricing plans. NOTE: Currency changes once you change from the English site. These plans only differ in the pricing, but not the features offered. All of them allow up to 5 simultaneous devices, something that is quite laudable. They also have no bandwidth caps and come with a 30-day money-back guarantee which is also very welcome. ZenMate VPN offers you a number of payment options to subscribe to their service. You can pay with your card or even PayPal. However, we noticed that they do not offer Bitcoin Payment which would allow you to pay anonymously. We would surely like to see that included. During our ZenMate VPN review, we found that one can also get ZenMate free thanks to the 7-day premium service free trial. 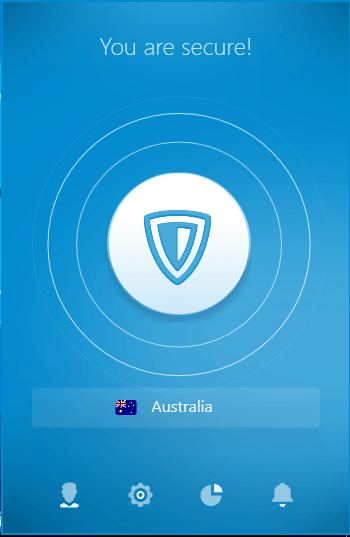 The ZenMate VPN 7-day trial period is entirely risk-free. It doesn’t require any payment information from you to get the premium trial. It will give you a whole week of premium ZenMate free to be able to evaluate the VPN and decide whether it’s the VPN for you. When the 7-day period is over, your account will be automatically reverted back to a limited free VPN service. If you have been impressed by the VPN, you can then sign up for either of the plans provided. You will still have a 30-day money back guarantee, which means you will have a total of 3 weeks to evaluate the service. To activate the ZenMate free trial is very easy and quick. Just click on the button that you can find on almost every page to start the ZenMate download. Once Zenmate has been downloaded and installed on your device, all you have to do is to edit your email, choose a password and confirm your email address. In just a few seconds you can activate your ZenMate free account without getting into your pocket or providing payment details. One downside of ZenMate VPN is its customer support. Their customer support is pretty bland. They have no Live Chat, and the Ticketing system that needs to be initiated via mail is mostly responded to by a bot. First, you will receive a ‘request received’ response. After some hours, you will be answered by Rosa, the ZenMate Bot, not an agent. She will encourage you to try their FAQ if you haven’t yet. You will then need to reply to be responded by an agent. This may take quite a while. We include this point among the cons even though it all depends on the kind of user you are. ZenMate doesn’t give you an option to customize how the VPN works. VPN kill Switch, protocol, DNS protection are automatic. If you are a beginner and or look for a hassle-free service, this is a very good selling point. However, if you like to have more control over your VPN, ZenMate will not let you. At the moment, ZenMate doesn’t accept payment in Bitcoins or other cryptocurrencies. Therefore, if you are very concerned about keeping yourself completely anonymous even during the payment process, ZenMate will not work for you. You must look for other VPNs like CyberGhost or ExpressVPN who accept anonymous payments. ZenMate VPN has one of the most straightforward clients in the VPN industry, and you can’t help but say its mostly aimed at beginners. The client doesn’t have many features of note, with the main features being Eversecure, Kill Switch, DNS Leak Protection and running the VPN automatically on system startup. Eversecure is a feature that appears to force the app to reconnect whenever the connection is lost. The Kill Switch is a welcome feature that disconnects your device’ internet connection in case connection to the VPN is lost. This protects you from being exposed if for any reason your VPN connection drops. DNS Protection, on the other hand, keeps you private in case your browser ignores that you have a VPN set up and decides to send a DNS request straight to your ISP. During our ZenMate VPN review, we never noticed any problem with the app. It worked seamlessly, and we didn’t experience any crashes or failures. Neither does it disconnect or change servers without your command. Further, its very user-friendly and any novice would be comfortable with it. Encrypting your traffic is always going to lead to a decline in speed but to some point we weren’t happy with ZenMate VPN’s US servers. Since they are only two, they seem to have already become saturated. Servers outside the US, however, performed better and below is a speed test we did without a VPN, and after connecting to ZenMate. Overall, ZenMate cuts a nice picture, especially for those who do not care about complicated features that give you much control of the VPN. We would give the VPN a thumbs up but recommend they improve the customer support, protocols offered and provide an option for Bitcoin payment. They say that they are continually adding more servers, and we sure would love to see more.